The recipe for this soup can be found in Disney cookbooks as well as here. My favorite time of year in Florida is the fall. I love the cooler weather. The fall also means that it is time for the Food & Wine Festival at Epcot. 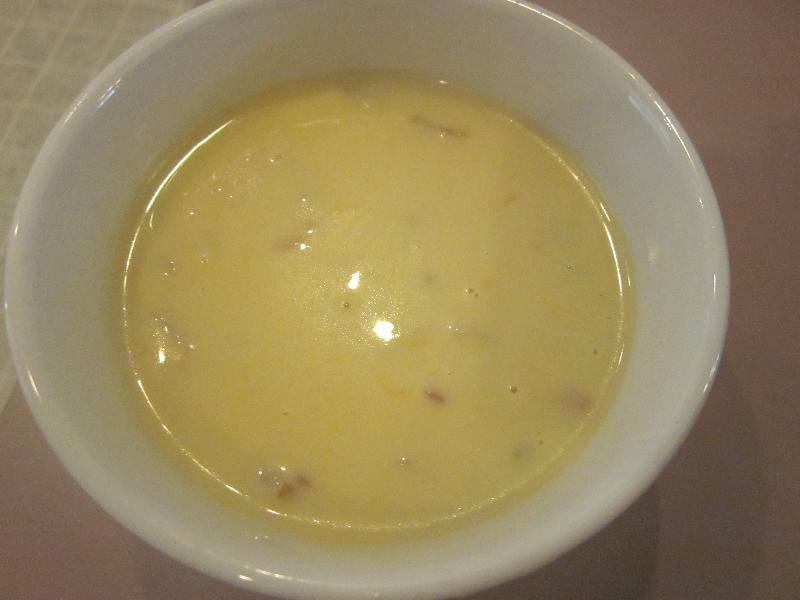 My favorite thing to eat every year at the Festival is the Canadian Cheddar Cheese Soup! I am so glad that I tried this recipe. It was just like the soup in Epcot. I will be making this recipe again. It made quite a bit of soup so if I wasn't planning to feed a large crowd I would cut the recipe in half. In a large pot or dutch oven, cook the bacon, stirring over medium heat about 5 minutes, or until it is lightly browned. Next add the red onion, celery, and butter. Saute until the onion has softened about 5 minutes. Then add the flour and cook. Stirring constantly for about 4 minutes over medium heat. Whisk in the chicken stock and bring to a boil for one minute. Reduce the heat to a simmer and cook for 15 minutes, stirring occasionally. Add the milk and continue to simmer for 15 minutes. Do not boil after you add the milk. Remove from the heat and stir in the cheese, Tabasco sauce, Worcestershire sauce, salt, and pepper, until the cheese is melted and the soup is smooth. Next stir in the warm beer. If the soups is too thick, add some warm milk. Finally serve the soup hot. Description: One of my favorite soups! anonymous : This turned out very good.